Lighting a lamp at least once a day allows you to cleanse & purify the mind while sustaining our human reality with harmony and abundance! 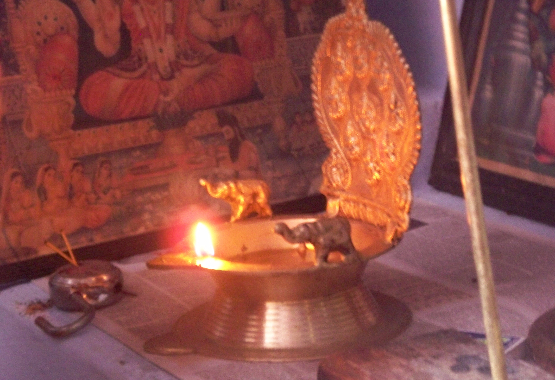 For a yogi, lighting a Lamp is a daily discipline, spiritual tool and a key to meditation. Fire has been a core principle in nearly all traditions, cultures and religions across the globe. 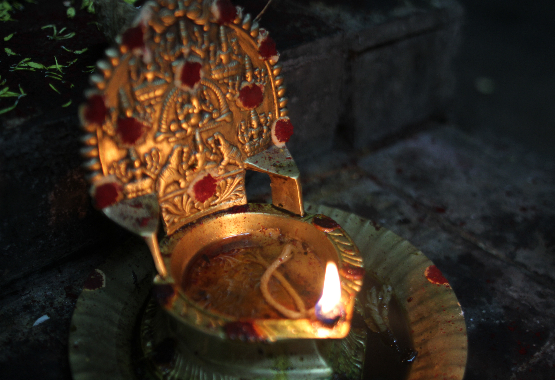 Lighting a Lamp as a daily ritual is a key step taken on the path of light, fire, and grace. 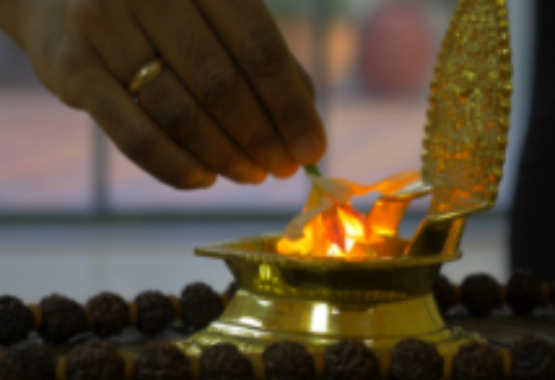 From the yogic perspective, a Lamp is revered as the Goddess Laxmi, the Goddess of Sustenance as the live fire sustains the yogi by providing for all basic requirements, i.e, to receive food offerings from visitors whenever hungry. 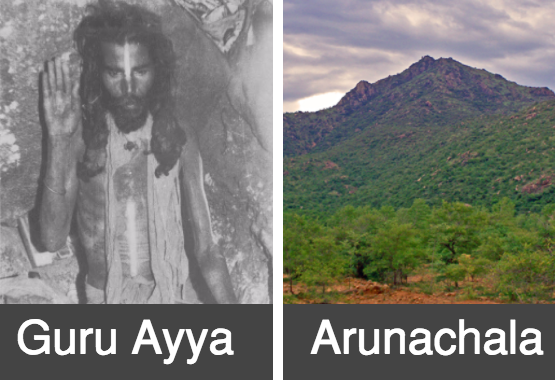 About two decades ago, when as a wandering yogi seeker, I was meditating in the caves of Arunachala. 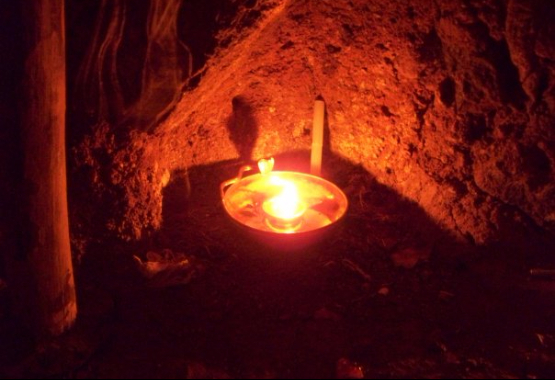 There was this young monk, Muthu aged 14 who had started his first week of meditation in the same cave. The next day morning we went up to see Guru Ayya who had been meditating for years drinking just a cup a milk a day (Guru Ayya did this ‘tapas’ penance for 18 years and then continues to do so today in his village- his 24th year). Muthu asked Ayya, whom he considered his Guru, “What do I need to do to really be able to meditate and go within?” Guru Ayya mentioned- “Have 3 fistful of nuts each day, drink plenty of water and keep your Lamp lit beside you”. 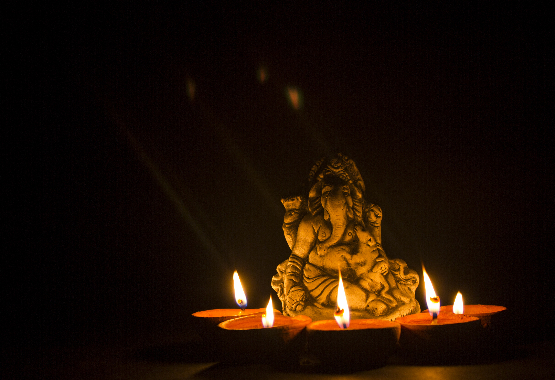 Muthu then asked, “Why the lit Lamp?” Ayya answered, “When you light your Lamp you are connected to all your Gurus and God. The Lamp will serve and guide you”. So why do yogis direct us to light our daily lamp? Establish our own rapport and connectivity to Source/ God/ Infinite- whom we worship or do not worship does not matter. What matters is our own interaction with our mind with the subconscious mind and beyond. The nature of connecting to Source is bliss, joy, happiness and all positive feelings that encourages us to set a discipline to have more of it each day by way of creating our own heart rituals. The process of allowing the higher powers to take care of our worries, anxieties and actual realities does enable us to carry less baggage of thoughts- as effective prayers. Step out of the rat race of human realities that are based on the cycle of time, mind and realities. Each day's 24 hours hold the natural ups and downs of our mind, our daily patterns of sleep, being awake and moods; and the realities that trigger us to be happy, sad, inspired and or depressed. 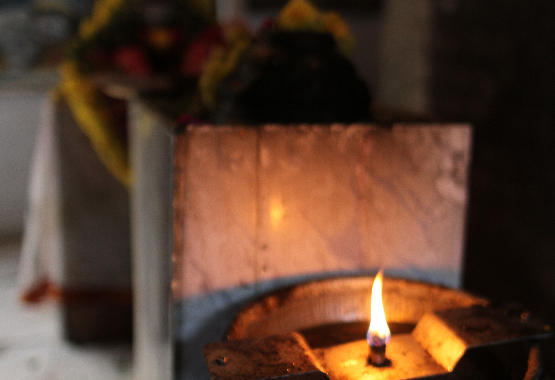 By lighting our own lamp we are stepping into timelessness, and attuning into our Soul and our connectivity to the higher powers. When we step out into timelessness, we experience meditation that has the nature of harmony, tranquility, and peace. When we step back into human realities, we are able to think from the meditative mind that has reduced limits in the ability to think and perceive and make optimal decisions. The time we spend with our Lamp enables us to set ourselves free from our own mind, our karmic patterns that are drawn from our thinking patterns and the religious or personal beliefs and dogma we grew up with. By lighting our lamp, we are reminding ourselves to be the Temple/ Church/ Mosque/ Shrine and beginning to experience the most mentioned word in history by all masters, gurus, poets, philosophers, and mystics- Freedom. When we are free, we are gifted with the experience of true love. Awakening our Inner Fire really means, awakening the perpetual orgasmic states of joy within that kindles our discipline to have more of this joy states each day. A yogi builds greater aware through every breath and thought with disciplined focus and passionate effort each day. 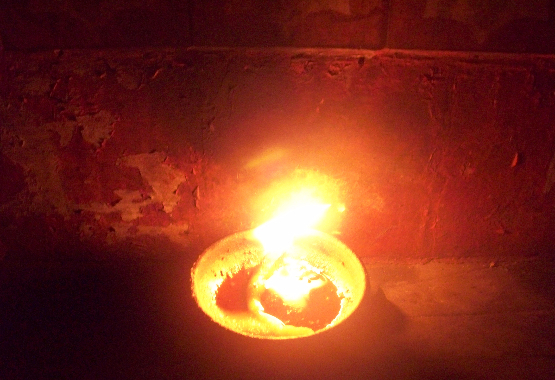 When we light the Lamp outside ourselves we are manifesting our own inner fire. By lighting our own inner fire, we are invoking the Presence of Source and the Masters who guide us. With our Inner Fire awake, we awaken our Inner Guru- the self-realization all yogis mention about. All masters who furthered the frontiers of humanity by way of genius, invention, discovery, teachings and a betterment of the society have been able to think outside the box, ahead of times and are able to hold a sustained and dedicated focus with passion until they reached the goal. The mind that sustained this supernormal mind is called by the yogis, "Turiya", the 4th state of consciousness described as the 'sleepless sleep". By lighting our daily Lamp to step into timelessness, we are stepping beyond the limits of our mind into the superconscious mind. A meditative mind is empowered due to the essence of "Turiya" where the nature of the 'mind' is eagle like as in being effortless in gliding to see the big picture; ability to bring intense sustained focus and think from a higher perception that flows in genius. Awakening our own Source connectivity is yoga. Upon awakening our inner fire, we are constantly expanding consciousness to tap into our own crisp wisdom, harmony and a stress-free environment. Each day, through our heart rituals of lighting our Lamp and stepping into mindfulness and awareness through the day, we are guided to make perfect decisions for ourselves. We bring quality to our lives with choices we make in our eating habits, in our work and recreation, in relationships and we align ourselves to evolve and grow. A yogi is a master who is perpetually connecting the cosmic with the mundane realities and constantly expanding consciousness to attain more of consciousness. By being the Yogi, we uplift ourselves and humanity by our vibrant thinking, doings and simply Being. 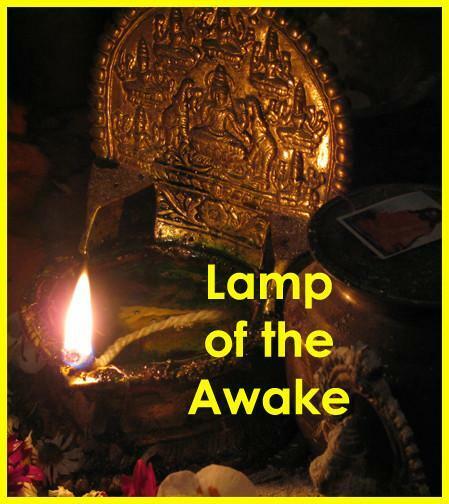 Guru Ayya's Teachings On the Power of the Lamp! [The video to the left is a live sound recording that was done inside at the sanctum sanctorum of Ayya Vaikundar's Shrine] 1810-1851- Ayya Vaikundar was a mystic from the southern tip of India, a Siddha- a Yogi who journeyed beyond enlightenment. He represents the "Other India"- where wisdom is from within. Ayya Vaikundar was revered as an Avatar of Lord Vishnu during his lifetime. Ayya ushered a unique social revolution that transformed a rigid society of hierarchy. Ayya's teachings destroyed the caste system in Southern India and revitalized the essence of Hinduism - a religion without dogma. Ayya's basic teaching was- awaken your Inner Fire and attain Consciousness to uplift ourselves and Humanity. Each Purchase of the Lamp also helps support our 501c3 Non-Profit: Ariven Community.